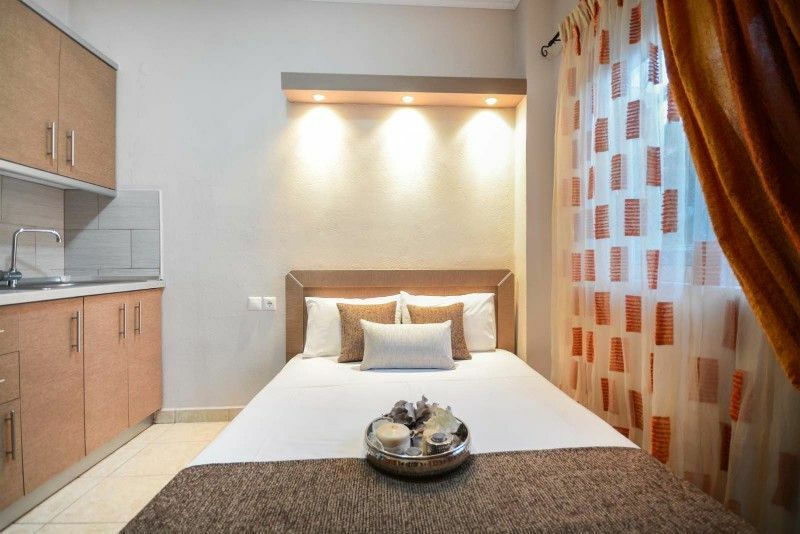 We offer two quadruple apartments and two double rooms. 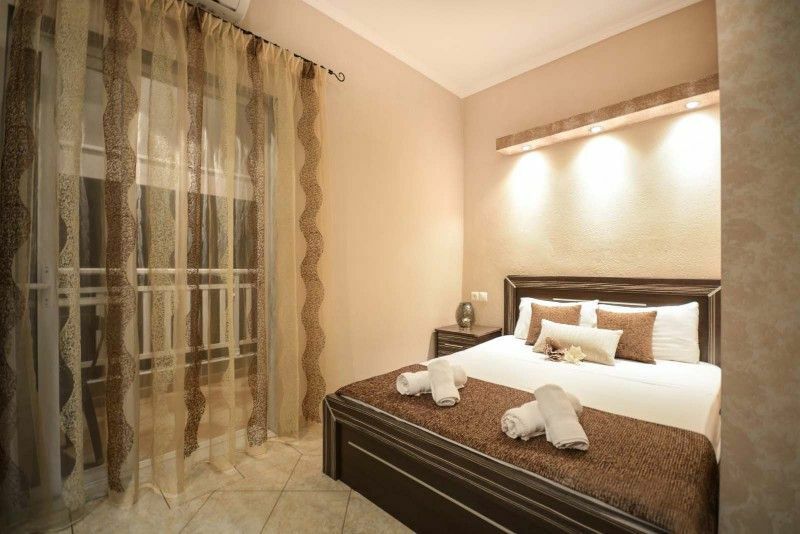 Quadruple (4+1) apartments are located on the high ground and the first floor. Apartment on the high ground floor room has a kitchen and a double bed in one room, and two single beds with the possibility of adding a baby crib or an extra bed in the other. 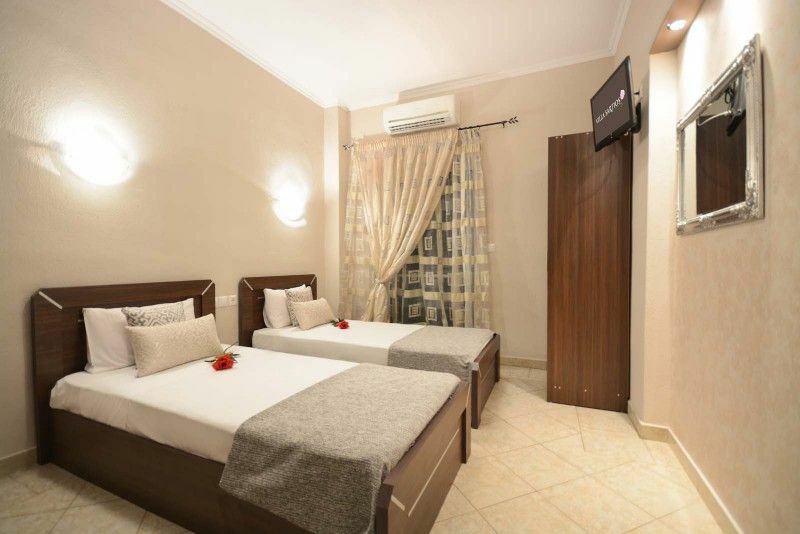 Double studios have a double bed and a kitchen in the same room, with the possibility of adding a baby. 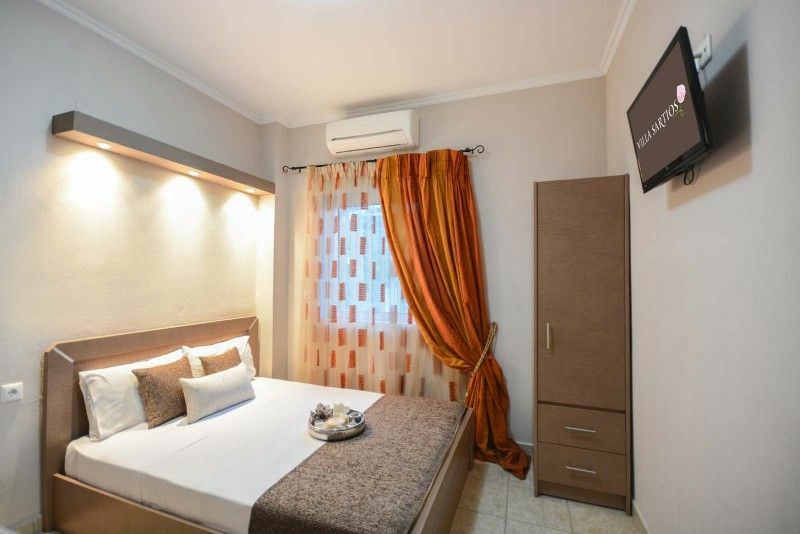 The studios and apartments are air-conditioned, have WiFi internet, a kitchen with two rings, a microwave and all necessary dishes, a TV with satellite channels and mosquito nets. 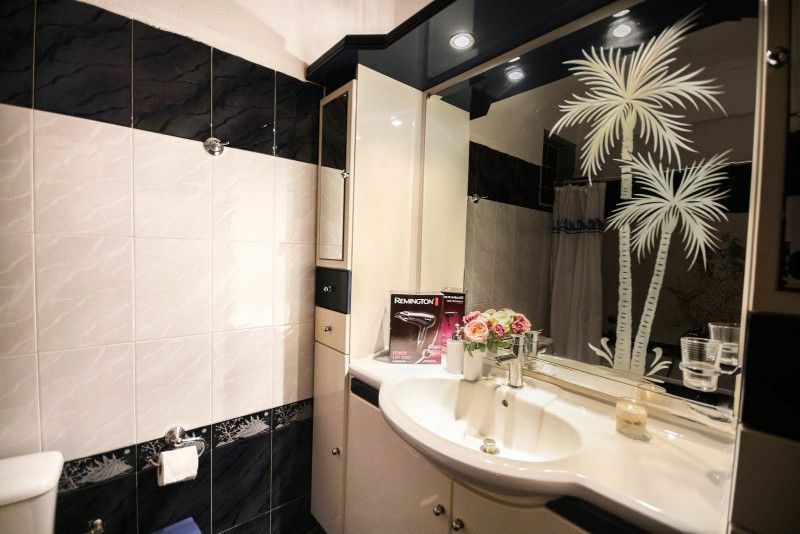 The ground floor apartment has a bathtub with a curtain, while the other accommodation units have a shower with a curtain.Center of Sarti is about 1,5km away, but in villa's vicinity, you can find all the necessary groceries, as well as several restaurants. A supermarket with a bakery is about 100 meters away.They do not have a yard, but a paved access with a shade, enough place for sitting, barbecue, table and chairs, shared with two more accommodations in the surrounding area. Private parking is not available, but there's a plenty of parking places nearby. 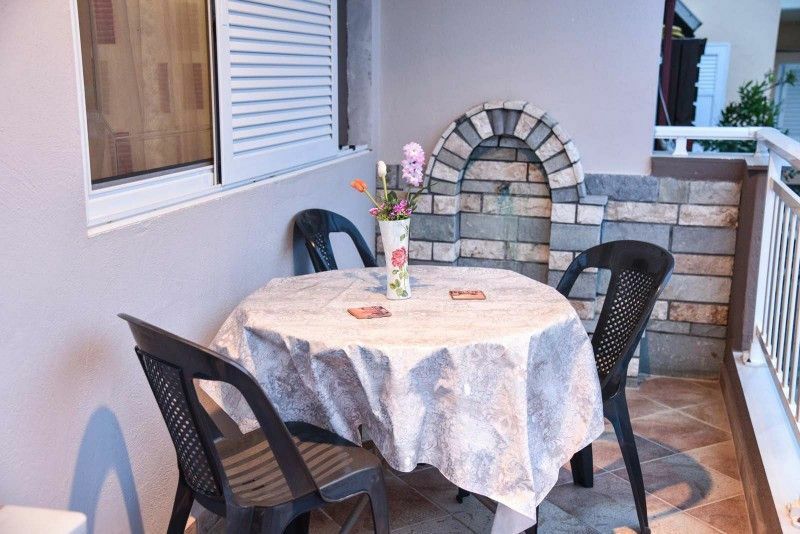 Some pets are welcome upon prior inquiry.Sartios Villa is ideal for those who want to enjoy the peace outside the Sarti center, near the beach with all the necessary amenities and enough parking space. 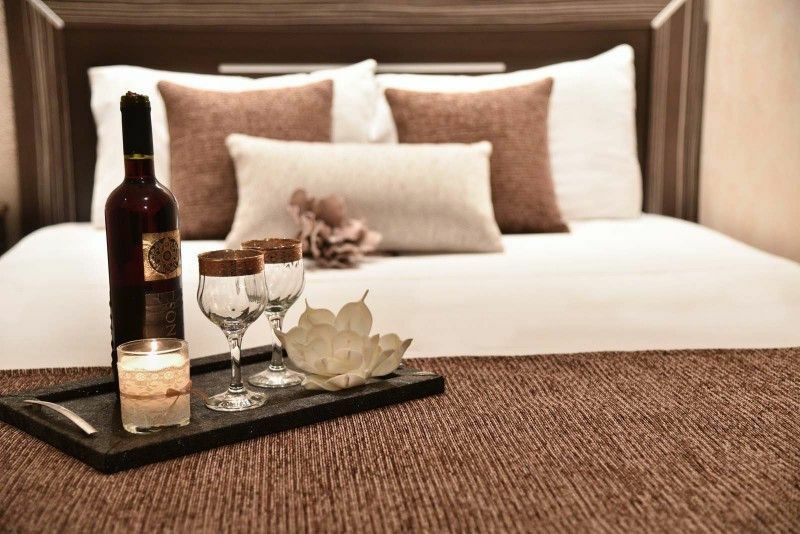 Guests are welcome in May or earlier, and the villa is open even in October. In case of a need for heating, there is air conditioning.